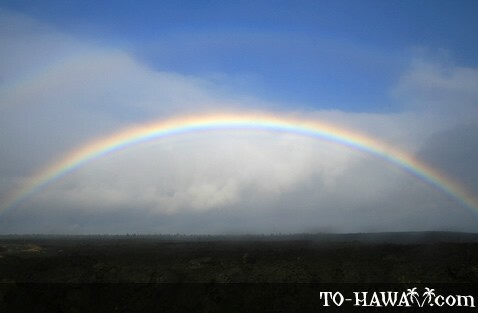 Given the amount of showers and misty rain that occurs when the sun is shining, rainbows are a common sight in Hawaii. 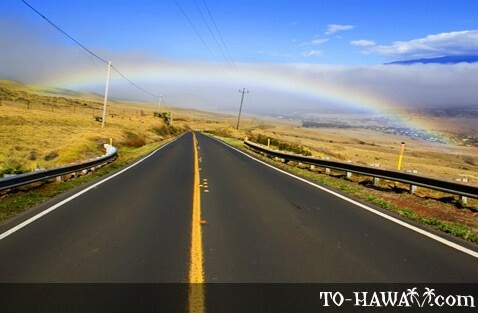 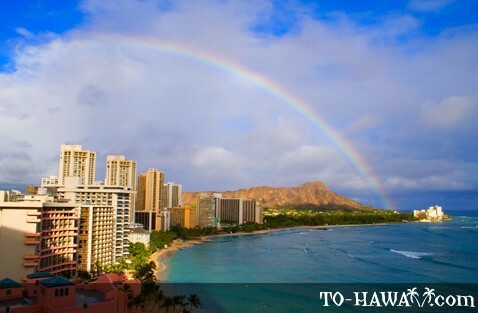 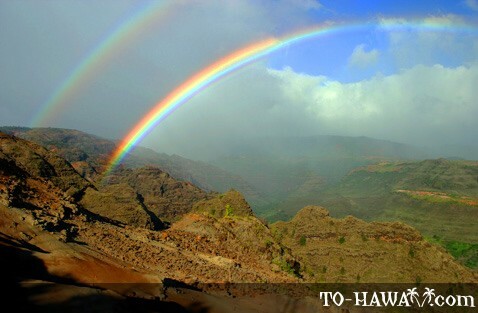 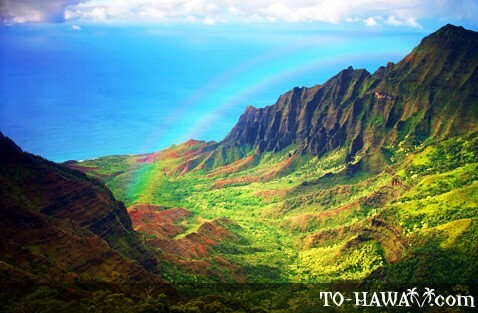 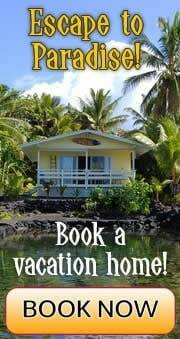 In fact, one of Hawaii’s nicknames is “The Rainbow State,” and a rainbow is also depicted on vehicle licence plates. 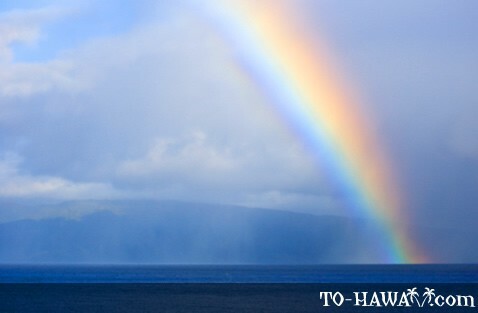 Rainbows can be seen when the sunlight breaks up as it shines through the prism-like raindrops during a rain shower. 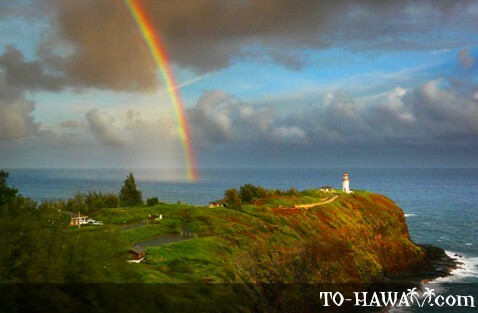 The curved spectrum of light includes all the colors that make up the sun’s white light. 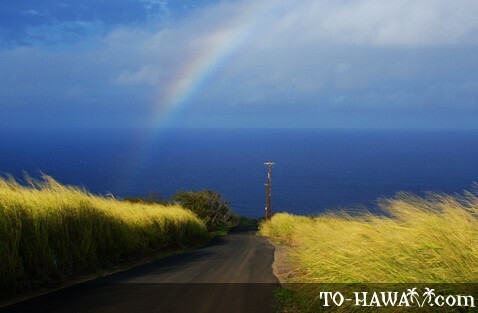 To clearly se a rainbow, the viewer must be positioned between the sun and the rain, with his back to the sun. 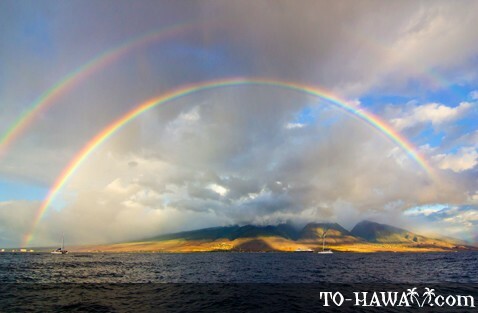 The eyes must also be aligned with the sun, so rainbows are mostly seen either early or late in the day, as this is when the sun is low in the sky and in the right position for spotting a rainbow. 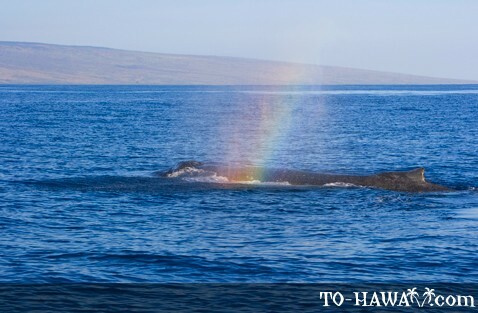 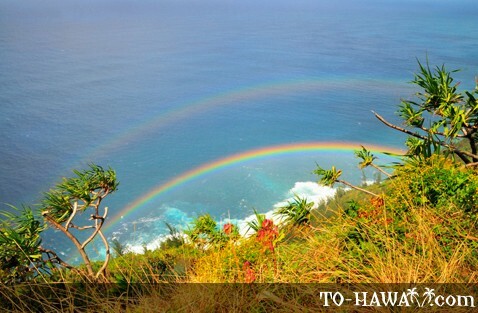 Sometimes, double rainbows can be seen on the Hawaiian Islands. 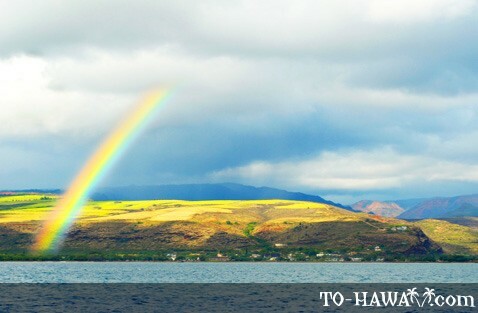 These are caused by one extra reflection of sunlight within the raindrops and are usually about 40 percent dimmer than the original rainbow. 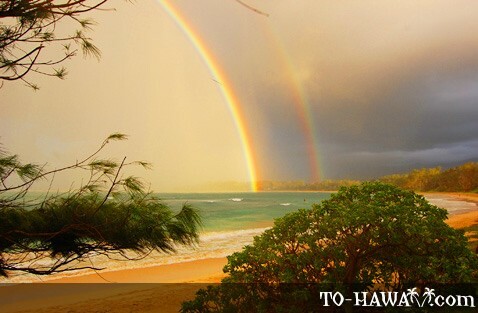 An interesting fact about double rainbows is that the colors are reversed in the second arc. 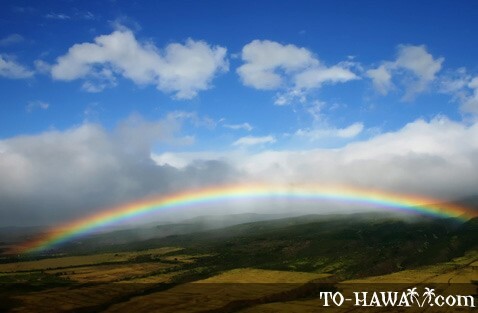 In Hawaii, many different nationalities have come to the islands and mixed with the native peoples, and so the rainbow is seen as symbolic of the ethnic mosaic which makes up the unique culture of the state. 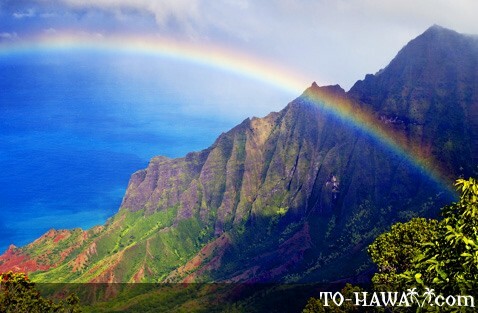 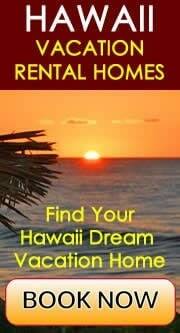 The rainbow has become an integral part of Hawaiian culture. 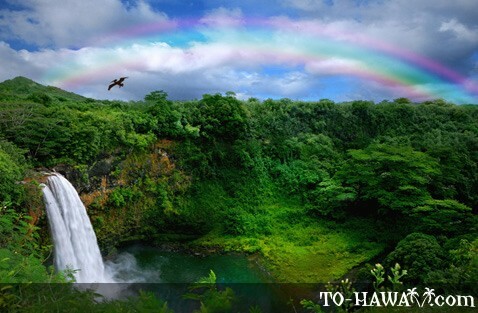 The University of Hawaii basketball team, for example, is called the Rainbow Warriors, and the stunning waterfall outside of Hilo on the Big Island of Hawaii is aptly named Rainbow Falls. 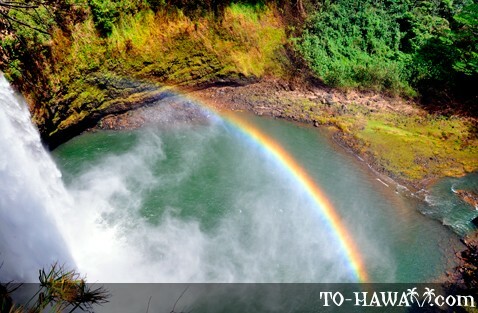 According to a Hawaiian legend, Kahalaopuna is known as the Rainbow Maiden, born of the divine wind and rain of Manoa Valley. 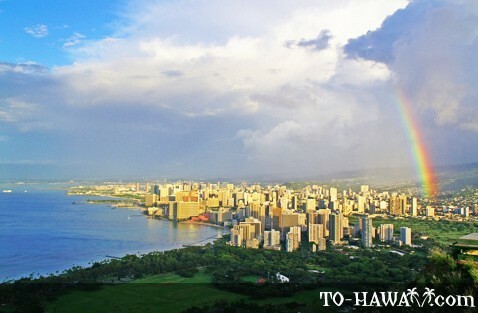 Since ancient times the valley has been regarded as “the royal palace of rainbows,” where the beautiful Rainbow Maiden can be seen playing wherever the light of sun touches the misty rain.